If you are a parent, you probably worry constantly about whether or not your children are safe. Not only do you have to worry about whether they are safe at home or while they are playing with friends or are under the care of your babysitter, but you also have to worry about whether or not they are safe while they are at school. 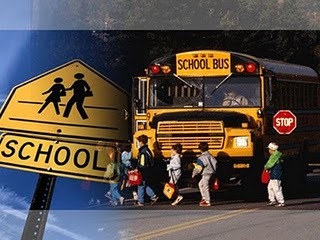 Although it can be frightening to feel as if your children might not be safe while they are at school, following a few of the best ways to keep a school safe and violence free can help ensure that your children, as well as their classmates and the teachers and faculty who take care of them during the day, are as safe as possible. Years ago, people didn’t seem to think as much about school safety and the prevalence of violence in schools as they do in today’s world. Nowadays, however, it is important to think about such things and take necessary action. Since school violence has been occurring all over the country, as well as all over the world, it isn’t something that should be taken lightly. There are a lot of situations when school violence can be incredibly harmful. Not only do you have to worry about large-scale and highly violent school shootings, but you also have to think about the dangers of everyday bullies, fights and other violent incidents. You never know when something could happen or when a seemingly innocent and non-violent situation could escalate and get out of hand, so it is important to look for the best ways to keep a school safe and violence free and to share these methods with others. 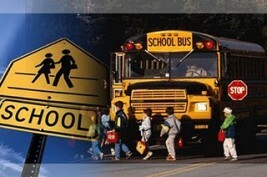 One of the first steps to making schools in your area safer is to increase awareness about school violence. Many people know about large, tragic school shootings and other incidents, but many of these individuals do not want to think about the violence that is occurring in schools in your own school system. Therefore, you should work with teachers, school administrators and people in your community to increase awareness about school violence. Not only should you make sure that people in your community are aware and concerned about school shootings, but you should also address fighting, bullying and other violent issues that take place in schools on a daily basis. By increasing awareness, you can build up allies who will help you fight the tough battle against violence in schools. One way to dramatically decrease the violence that occurs in schools is to implement security measures into the everyday operations of each school. If you work with people from your school board and in your community, you may be able to bring about serious changes that can help keep your children and the other children in our community as safe as possible from harm. There are a lot of different security measures that can be utilized in order to keep children safe. Installing surveillance cameras in and around the school is a great way to monitor behavior, watch out for violence and keep an eye on everyone who enters and exits the school. Using metal detectors, hiring security guards or school resource officers and taking other similar steps is also a great way to make a difference. Along with installing security equipment and keeping a close eye on everyone to make sure that violence doesn’t occur in school, it is also important for school administrators to implement rules and regulations about fighting, weapons and violence in school. It is imperative, in fact, for schools to have these guidelines to follow. Although working hard and implementing security equipment and other security measures is a great way to protect children, parents and school staff, it will only work as well as people in the school system allow it to. Therefore, it is important for everyone to understand just how important it is to take every threat of violence seriously. Even minor fights should be dealt with in a serious manner, and those who bring weapons to school or otherwise pose a threat should also be subject to serious consequences. It is never a good idea to take these things lightly, and laying out clear rules and expecting everyone to follow them can help with school security when security equipment is utilized as well. If you have any further questions about school security, feel free to contact us today. Let us know your question via the contact form. Techpro Security Products offers Affordable and Reliable CCTV Security Camera and Access Control Systems with Free Tech Support for the Life of The Product. Techpro Security Products is a major manufacturer and distributor of CCTV Security surveillance and Access Control Equipment. Our online store serves over 5000 customers per month. We offer a full line of DVRs, Security Cameras, Accessories for Surveillance Systems, Complete DIY Security Surveillance Systems, and Access Control products with everything you need to do it yourself. In addition, our dedicated and knowledgeable support staff is available to assist you with any of you technical needs. We offer free tech support for the life of the products you order from us. Whether you are configuring your system to work over the Internet, or if you are setting the DVR up for remote viewing over your mobile devices, we are here to help. Call us today at 561-922-8416. © Copyright 2015 by Techpro Security Products.